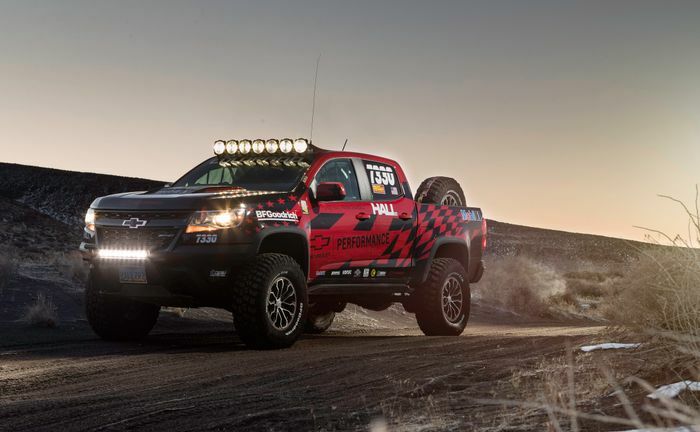 Chevrolet Colorado ZR2 owners can now take their already modified trucks to the next level with a suite of 15 performance parts developed by Chevrolet Performance, Hall Racing and Multimatic. Among the parts, tested and proven in the Best in the Desert race series for two years straight, are a 1.5-inch body lift and a one-inch lift for the front suspension. Racing-spec shocks are now available with a 15 per cent increase in travel and better control over large bumps. The rear leaf springs can be augmented with new long-travel dampers, too, with up to 11 inches of bounce on offer. Jounce shocks, bracing beams and a new 3.5-inch steel driveshaft are all among the new upgrades, along with an anti-wrap system to stabilise the car under power and braking. There’s an aluminium bash plate over the rear locking differential and tie rod sleeves that strengthen the standard tie-rods without replacing them. 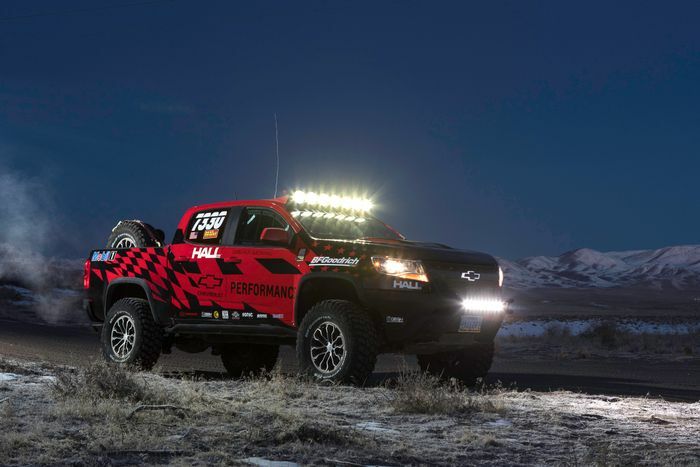 Off-road driver Chad Hall piloted a ZR2 with these modifications over two brutal seasons of racing and brought his experience over 10,000 off-road racing miles to bear in how tough the carious parts are. Each element can be bought separately or together as a complete kit for about $23,000. The full thing effectively builds a ‘Hall Racing ZR2’ complete with everything the car needs to go and storm some deserts. Some of the parts are on sale now but others will come at a later date – but by spring 2019 at the latest. 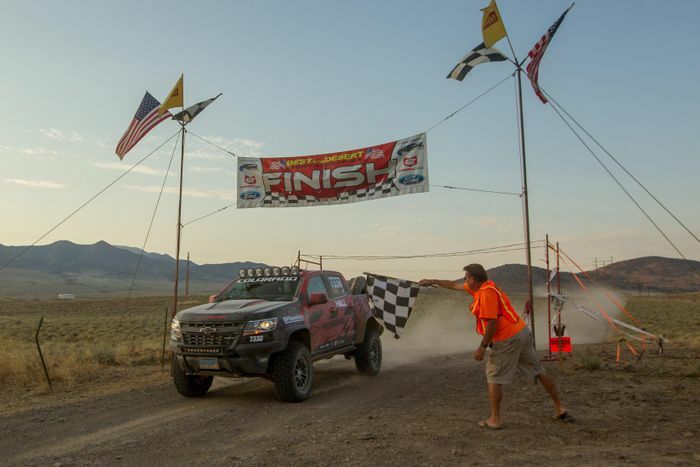 “Off-road racing is a brutal test of a vehicle, and especially its suspension components. Over two years, Chad mercilessly pushed these ZR2 parts to the limit for the ultimate in development and validation.